This Fanciful Fruit tapestry shows a basket of fruit on a table ledge with a red drape. Here we see a basket of berries, with guavas and plums strewn on the table below. As with other still lifes of flowers and fruit, a red drape accompanies the scene to represent luxury and beauty. 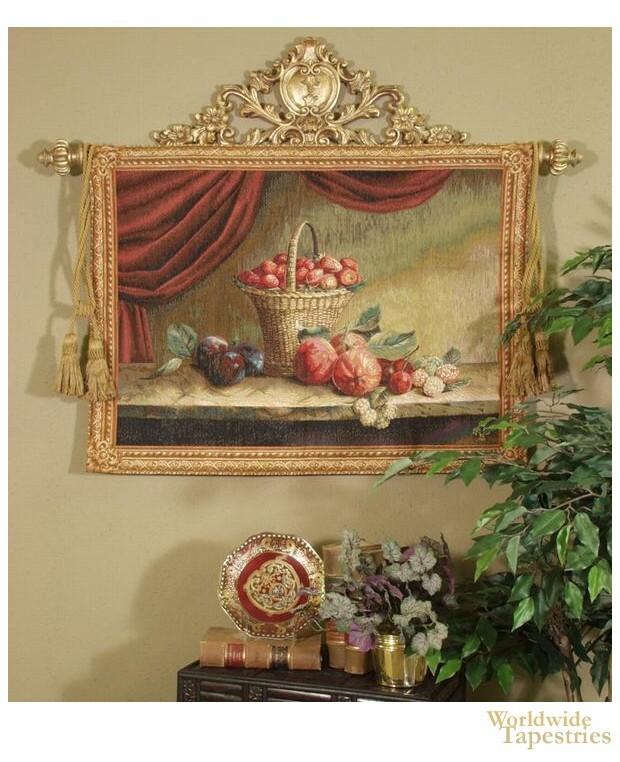 "Fanciful Fruit" tapestry is backed with a lining and has a tunnel for easy hanging. Note: tapestry rod, tassels and accessories, where pictured, are not included in the price. Dimensions: W 39" x H 29"